Feeling under the weather? 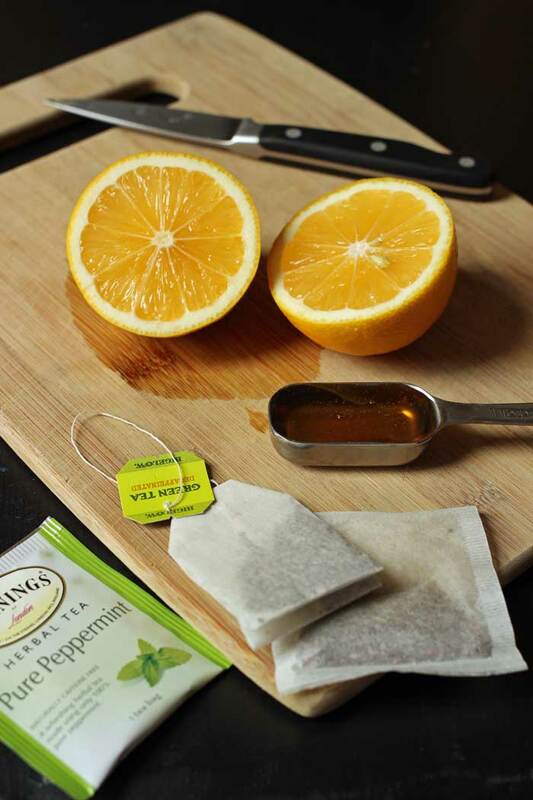 Brew a cup of this deliciously soothing Medicine Ball Tea Recipe. It’s cheaper than the coffee shop and so much better for you. The cold and flu season can really wreak havoc on your body. And really mess with your appetite. 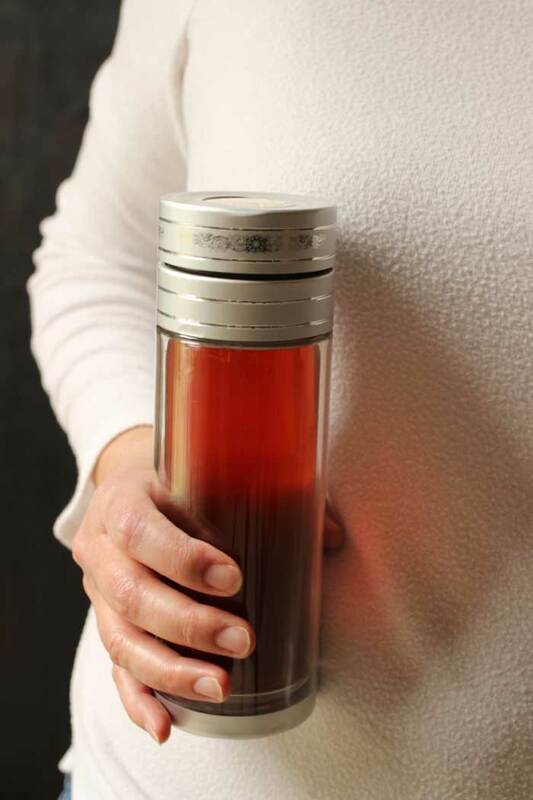 A cup of coffee no longer sounds or tastes as appealing as it does when you’re well, does it? That’s when you need something hot, delicious, and soothing. Chicken soup often fits the bill, but sometimes you want something a little sweet, not savory. That’s where the Medicine Ball comes in. Last year when my husband was fighting off the grunge, he walked into the Starbucks at his work — yes, his work has its own Starbucks — and the manager asked if he’d like a Medicine Ball. He enjoyed it so much, he did some research on what it included so that we could make our own Medicine Balls at home. No way we were spending four bucks a pop, people! I’ll be honest, I didn’t see the big deal at first. People have added honey and lemon to their tea for eons! And our family in particular has made Hot Lemonade (lemon juice, honey, and hot water) for colds for 20+ years. However, I think the trick with this one is the combination of citrus, mint, and fruity flavors, something I hadn’t considered for a hot beverage. But it makes sense. I love Lime-Mint Coolers (Non-Alcoholic Mojitos), so why not try the same flavor combination in a hot drink? What is a Medicine Ball, or Honey Citrus Mint Tea at Starbucks? There is debate among baristas if there are shots of peppermint syrup added, but this is the basic recipes. How to order a medicine ball at Starbucks? This soothing beverage goes by a number of names: medicine ball, sick tea, honey citrus mint tea, cold buster, etc. Thankfully, you don’t need to know any magic spells or name combinations. What was once a customer special order and then a secret menu item, is now a regular item on Starbucks official menu. However, I recommend you make your own Medicine Balls at home. They are cheaper, easier, and contain less sugar; you can also drink as much as you want. What do I need to make a Medicine Ball at home? I’ve done some taste-testing and experimenting over the last year. I’m sure that the Teavana tea is quite good, but I’ve never purchased it. There are plenty of more affordable, quality tea brands out there. You’ll need mint, green, and a fruity herbal variety. You can use three separate bags or you can mix and match these however you like. If you’ve got a mint green tea that you like and a fruity herbal tea you like, you’re set. One of my ALDI finds last fall was a green tea with pomegranate and açaí. I let that fill in for my green and fruity and just added a peppermint. I’ve also enjoyed this with Trader Joe’s Pomegranate White Tea with a peppermint thrown in. Experiment to see what you like best. I have tried this with a peach-citrus variety and didn’t like it as well as Raspberry Zinger. Seriously, Raspberry Zinger for the win! Obviously, the fewer tea bags you can swing, the cheaper your cup will be. 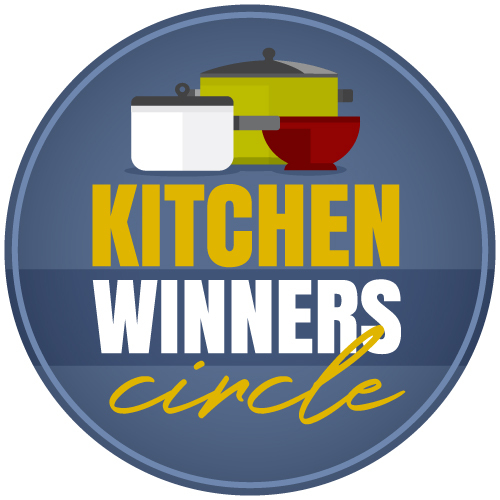 I have an electric water kettle in my bedroom and another electric water kettle in the kitchen, allowing me to make tea wherever I like without even going up and down stairs. I prefer to use filtered water, but it doesn’t matter. Get the brand that you like the best, but don’t worry about getting a fancy flavored honey. You likely won’t be able to taste the nuances amid the tea flavors. However, honey is really important, it accents the peppermint and citrus flavors in a way that sugar or other sweeteners won’t. You can use freshly squeezed juice or bottled juice, whichever you like. We’ve used fresh Meyer lemons as well as organic bottled lemon juice and not noticed a big difference. If you or someone you know has a tree in the backyard, remember that you can freeze lemon juice. 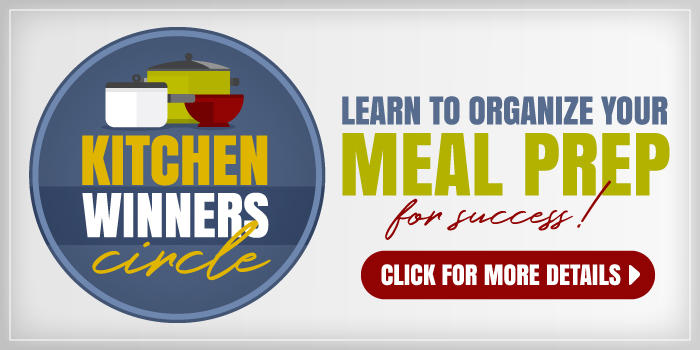 Take advantage of the harvest and stock it up for later! Likewise when you find a sale on lemons at the store. Of note: currently, green tea and honey are considered “health foods” by some, so there could be some reasoning in the restorative benefits of this type of drink besides just soothing your throat. Both have anti-inflammatory properties. Who knew? As you prepare for cold and flu season, keep these ingredients in mind to stock up on! You might bake these Meyer Lemon Tea Muffins just for fun to go with! How to make a Medicine Ball at home? 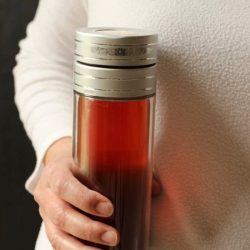 Brew the teas in a big mug or travel cup, 3 to 5 minutes, according to taste. What is a good way to make a Medicine Ball for the road? Once you’ve perfected your custom Medicine Ball you’re gonna want to take it with you in the car and elsewhere. This stainless steel mug is amazing. I’ve bought them for family and friends and all swear that your drink will be piping hot for hours on end, even in extreme weather. 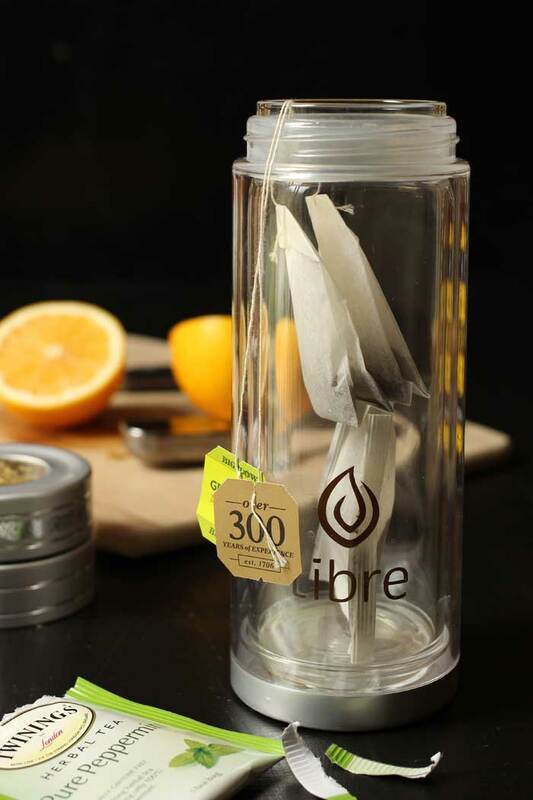 What I use, and what’s pictured is a tea infuser from Libre Tea. 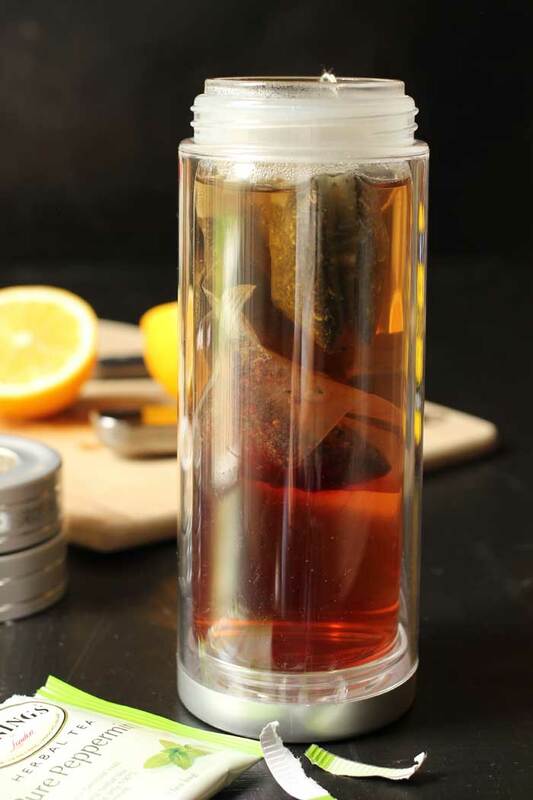 You can find the tea infuser on Amazon or order directly from the company where you can find several different designs of tea infusers. 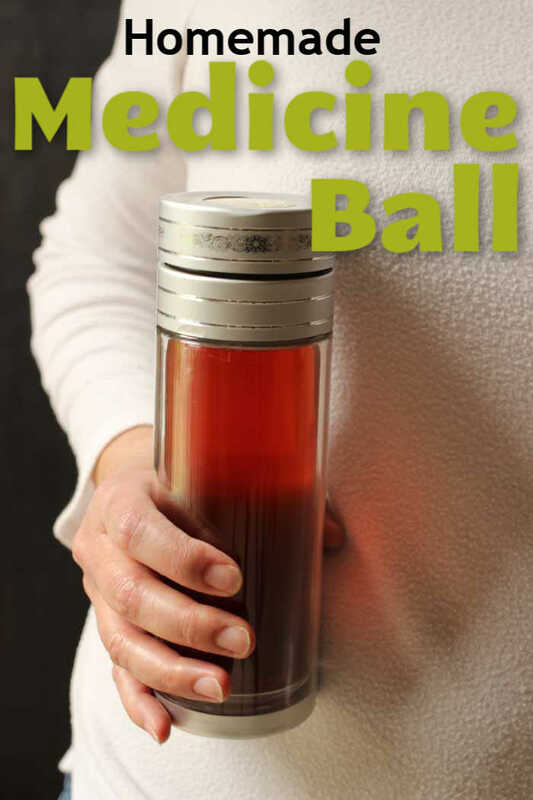 Enjoy the delicious, soothing comfort of Medicine Ball Tea at home with this easy recipe. 1 tablespoon lemon juice or more to taste. 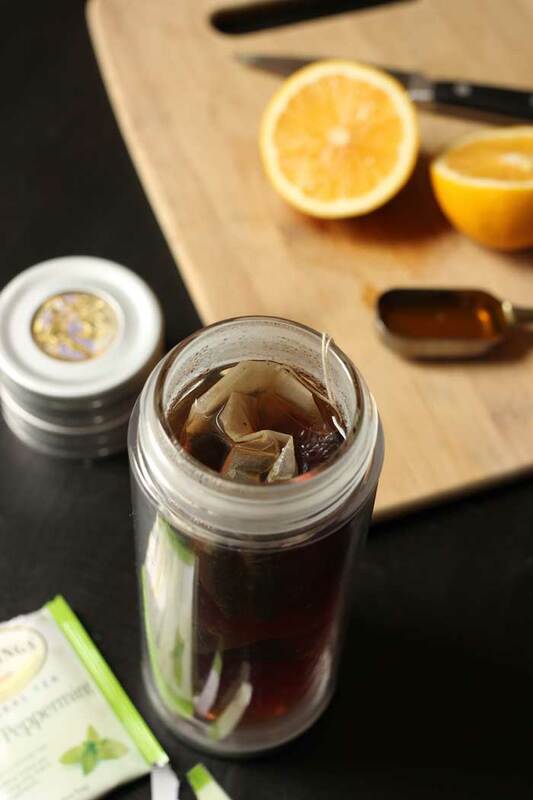 Place the tea bags in a large mug or travel cup. Fill the mug with water and allow to steep 3 to 5 minutes. 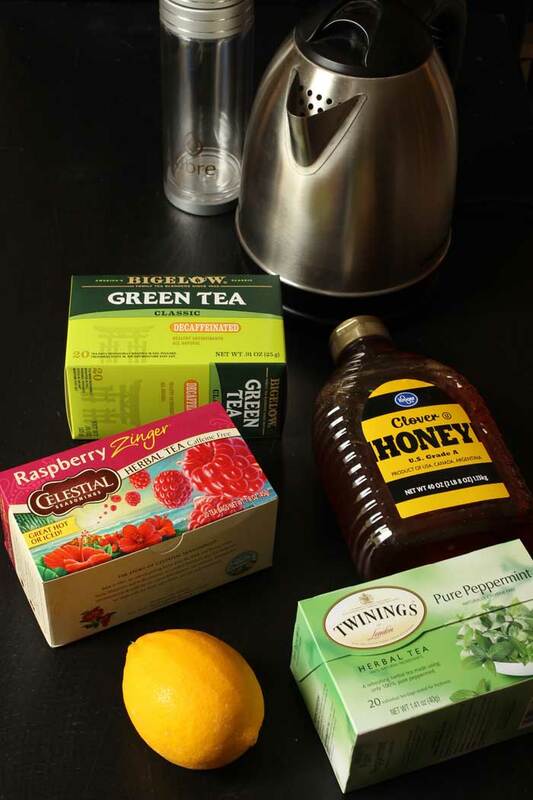 Remove the tea bags and add the honey and lemon juice. Stir well and adjust for taste. Note: combination teas can be used such as green mint or pomegranate green. We LOVE this drink! My younger kids call it “sour tea” – ha! I put 2 T. of lemon juice and a spoonful of honey. Thanks for the tasty recipe, Jessica! I found this recipe on your instagram feed a few weeks ago. Between the polar vortex and cold/flu season, I’ve barely had a day without one!! So yummy. 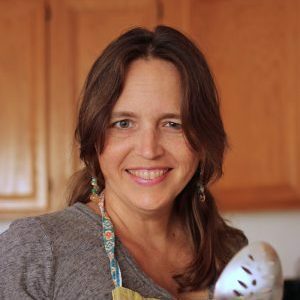 I’ve been using Moroccan mint (green mint) tea, peach or berry herbal tea, and some meyer lemon! Thanks for letting us all in on this money saving wonderful drink! Thanks for this drink. I think it really helped ward off some grunge I felt coming on!? Edit to add: 5 stars. This was delicious! I’ve been feeling something brewing in the back of my throat but not quite sick thankfully. I made a medicine ball this afternoon using the white pomegranate and TJ candy cane tea since that’s what I had on hand. I enjoyed every sip! My girls always ask for something when the don’t feel good, I think this is my new go to recipe!! I’ve been brewing this in my 4 cup glass measuring cup twice a day since you wrote about it. Green tea + Tazo passion is the flavor combo I like best of the teas in my cupboard. Today I splurged on a cup at Starbucks. Of the four wellness teas on their menu, I had Citrus Defender. It was really amazing! Maybe I need to learn how to steam lemonade?! ?